Should Lexus Build an Ultra Luxury Van for Asia? The reasoning: Today’s chauffer-driven executive, politician or other high roller finds the cramped rear seats of the Lexus LS, the brand’s flagship, or the Toyota Century, the staid old-school V-12 limousine usually spotted outside four-star restaurants, too confining. They need their vehicles to be mobile office spaces, impromptu meeting rooms, executive committee shuttle buses and emergency catnap and clothes-changing venues. And they need to do it in style. 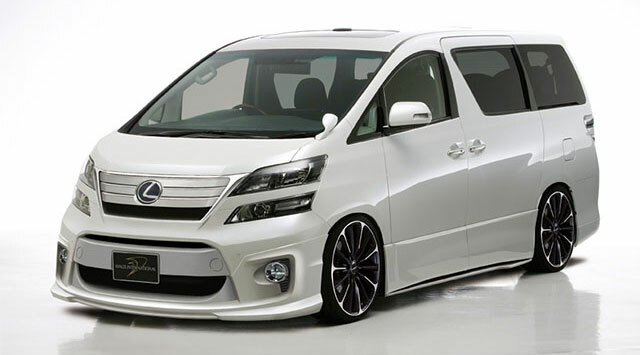 Vans are one of the most popular vehicle segments in Japan (and other parts of Asia) because of their utility and comfort, two characteristics of the original RX when it was introduced in 1999 — however, the idea of a van runs counter to the current Lexus focus on performance & design, and seems unlikely at best. Onelog: hah, not if it has an awkward grill leftover from the HS on there! Alex Wilson: That makes perfect sense you know with Maybach still being around and all.